Breastfeeding is a major public health issue. Breastmilk provides all the nutrients a baby needs for their first six months. Research studies also show that breastfeeding doesn’t just help to protect infants from infection, but has other benefits such as reducing obesity and can help protect mothers from some diseases in later life. 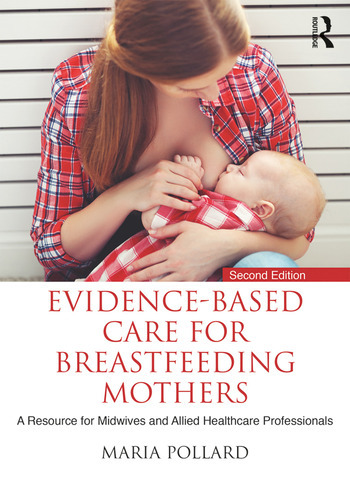 Suitable for both undergraduate students and practitioners undertaking continuing professional development, Evidence-based Care for Breastfeeding Mothers is designed to aid learning. Each chapter begins with specific learning outcomes linked to the Baby Friendly outcomes, key fact boxes, clinical scenarios and activities. Maria Pollard is Assistant Dean (Education), School of Health, Nursing and Midwifery at the University of the West of Scotland. Her main areas of interest are breastfeeding, education, supervision of midwives and normal childbirth. Maria completed a doctorate in education, exploring how student midwives learn about breastfeeding.